See below for complete list of Finnish Lapphund characteristics! No, his name doesn't mean lapdog. This smart, hard-working dog originated in Lapland, in Finland's far north, where he was used to herd reindeer for the semi-nomadic Sami people. These days, he still has a strong herding instinct that can be put to use with more common varieties of livestock. He can also enjoy other dog jobs such as agility, obedience, and therapy work. Friendly toward people and gentle with children, he's a good companion for people who don't mind a dog with a long, profuse coat. Males stand 19.25 to 20.5 inches at the shoulder; females, 17.5 to 18.75 inches. Weight ranges from 33 to 53 pounds. A long, coarse outer coat tops a soft, thick undercoat. 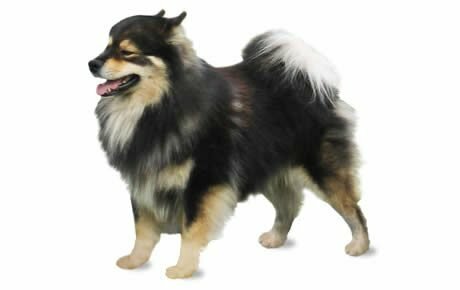 The Finnish Lapphund can be found in all colors, including white, black, red, and brown, as well as combinations of colors such as black and tan.